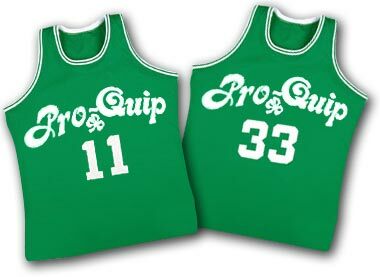 Our company, Pro-Quip, began as an entrepreneurial dream of a former professional basketball player with the Boston Celtics for his post-playing days career. Since our founding in 1982, Pro-Quip has maintained an ever-growing list of satisfied customers who recognize and appreciate our “off the court” professionalism and spirit in this business arena. Today, Pro-Quip remains a small family owned and operated business that has chosen to forego expansion for a more focused attention to detail and customer contact. In addition to offering only the highest quality products, we strive to provide engineering and customized assistance unique to each customer with the expressed intent of maximizing our customers storage possibilities. 1. In-stock Inventory. We believe our customers want a large selection of products—delivered quickly! That’s why we have aligned ourselves with only those quality manufacturer’s who can deliver on that promise. You will see “in-stock” on over 95% of the items on this website—that means your order is out the door in 48 hrs. or less! 2. Design, Layout & Installation Assistance. Many, if not most, of our customers recognize quickly that their storage product needs require a higher level of engineering and/or assistance that can be achieved through the internet. That’s why Pro-Quip utilizes a nationwide network of factory-trained representatives who can not only visit with you at your jobsite, but also arrange for the professional installation that we have become synonymous for over the years. Pro-Quip’s design and layout sales engineers are ready, as always, to help guide you through your product, or project, needs – give us a try! 3. Special & Custom Orders. Pro-Quip can fabricate storage products designed for your particular applications! Whether it’s a special color or custom size, nobody knows your storage product needs better than you! Let us design a solution that works for you...as opposed to one that you have to work around.